Savings with a Member-Focused Philosophy. 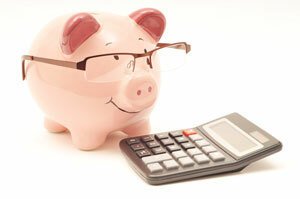 A savings account offers members many convenient benefits for their savings and banking needs. We are proud to offer our Loyalty Savings account, which is unique to People’s Community Federal Credit Union. Earn a high 5.00% APY* on the first $750 in your Loyalty Savings account. also Learn more about our Loyalty Savings accounts below. Savings accounts are a smart choice for two main reasons: easy access to your money and reliable safety features. Loyalty Savings adds the benefit of earning higher dividends than a regular savings account. 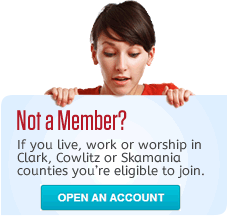 This versatile account allows members to easily save to accommodate their financial needs. One of the most appealing benefits of a savings account is its online-friendly features. At People’s Community Credit Union, we want to make it as easy as possible for our members to take the next step in their financial life, which is why we offer a comprehensive online account opening process. While we are always happy to help our members open an account at one of our branches, this provides you with the option of opening an account in the comfort of your own home. If you’re not a minor or a senior, to get all the benefits of this account you’ll want to open a high-yielding Loyalty Checking account as well. We are proud to serve all our members and believe in our member-focused philosophy. By opening a Loyalty Savings account with us, you can trust you will be taken care of, as we strive to provide our members only the best and friendliest financial services. To open your account today, visit one of the People’s Community branches or use our online service! *Annual percentage yield; subject to change. Not available for business accounts. Loyalty Savings balances greater than $750 will earn the same APY as the Carefree Savings Account. If Loyalty Savings requirements are not met, balances earn the same APY as the Carefree Savings Account. Fees could reduce earnings. Only one Loyalty Savings and one Loyalty Checking account per member.